Even though there was a nearly two month wait for the part, I was kept informed of the status on a regular basis. Once the part was available, the work was done promptly and I have no problems! Luke repaired my washer efficiently, replacing the valve. I was informed exactly when he would arrive, and I appreciated his courteous manner. OVEN WHIRLPOOL WOD77EC0HS00 Installed new control panel. Customer will keep an eye on time. RANGE WHIRLPOOL WFG550S0HZ1 "Order main board timer on clock is not counting down, count down one second then stall there, order board..; ordrng 1 W11258611 (BOARD)"
REFRIGERATOR WHIRLPOOL KRFC704FPS01 No water getting to the filter. I was getting water out of the main inlet valve but not through the filter and out of the dual valve. Operation tested good after reseating the filter and dual valve connections. WASHER MAYTAG MVWB766FW1 "No error codes, calibrate, run test cycle, ok, wont spin out on small loads, but will on medium and large loads, need new ccu; ordrng 1 W11135392 (CCU)"
WASHER MAYTAG MVWC565FW1 "Ran diagnostics found off balance code ask customer what was last in there she said 1 rug, so I instruct customer to never do one item, and always try to balance load out, clear code re ran diagnostics it went thr fine tested out good." MICRO/OVEN KITCHEN AID KMHC319ESS0 "Door switches failed, fan will come on and run when door is closed. Ordering interlock kit per service pointer, cust paid in full; ordrng 1 W11244490 (INTERLOCK KIT)"
REFRIGERATOR WHIRLPOOL ED2KHAXVT01 "Received incorrect door, got a white one when the unit is bisque in color. Called Tim, he will call cust tomorrow; saved tckt"
REFRIGERATOR WHIRLPOOL WRS331SDHM00 The use and care guide is not very clear as to which setting is colder and which is warmer. They started out at the recommended setting and when I arrived it was at the coldest. I turned it down one notch under recommended and advised them to keep an eye on temps. The temperature in the fresh food section was 32 today. If still having issues please send out the damper control which comes with thermistor. REFRIGERATOR WHIRLPOOL ED2KHAXVT01 "Customer caught it leaking from the quick connect under the door. I installed a new quick connector and checked for leaks. Operation tested good. Still needs door for ice bucket freezing issue. ; ordrng 1 L2327199T (dor-fip bt), used 1 WPW10271540 (CONNECTOR ) from stock"
REFRIGERATOR AMANA ASD2624HES Icicles hanging from the ice maker and running down the back wall. They shut the water off and the leak stopped. I turned the water back on and everything is working properly today. It is either the valve or ice maker. I quoted for both parts and 106.65 labor. Customer is going to think about it. RANGE KITCHENAID KSGG700EBS1 Install door glass now it match with unit color customer happy now..
MICRO/OVEN KITCHEN AID KMHC319ESS0 "Installed new interlock kit assembly and tested, interior light now working properly, heating normally, all ops good"
DISHWASHER AMANA ADB1400AGS1 "Not getting 120 to machine, need electrician"
DISHWASHER WHIRLPOOL WDT720PADM2 "Air gap at sink plugged, need plumber"
MICROWAVE KITCHEN-AID KMHC319ESS0 "Door switches failed, fan will come on and run when door is closed. Ordering interlock kit per service pointer, cust paid in full; ordrng 1 W11244490 (INTERLOCK KIT)"
REFRIGERATOR WHIRLPOOL WRS325FDAM04 Condenser coils vibrating against the cabinet. Operation tested good after adjusting. DISHWASHER KENMORE 665.12773K312 "Removed dishwasher, took pictures of damage and install." DRYER WHIRLPOOL WET4027HW0 "Washer ,,dryer .moved unit out ,,repaired rear bracket on dryer mount ,reversed screws and installed bracket on dryer to secure to washer ,all working good now ,"
WASHER WHIRLPOOL WFW94HEAW0 Installed new tub assembly and checked for leaks. Operation tested good. WALLOVEN WHIRLPOOL KOCE507EBS04 Cooling fan rubbing. Operation tested good after adjusting. RANGE KITCHENAID KSGG700EBS1 Installed new outer door assembly. 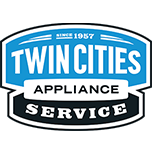 WASHER MAYTAG MVWX655DW1 "Part missing on drawer, no error codes, calibrate, run test cycle, ok, instruct cycles and soap usage, cust to install; ordrng 1 W11127356 (DRAWER)"
DISHWASHER WHIRLPOOL WDT720PADM2 "Drain hose plugged, cap missing on dispenser, test ok; used 1 WPW10524920 (CAP) from stock"
DRYER MAYTAG MGDX655DW2 The threads on the new burner are the same as the old. We used the 3/8 inch ntp to flare adapter provided with the gas line and it worked. Customer will hook up the gas line and test it himself. DRYER WHIRLPOOL WET4027HW0 "Screws on rear bracket in backwards, from the top down, needs to be from bottom up, did do right side, needs to be pulled out to do left side, 2 men on return; O-emld tckt"